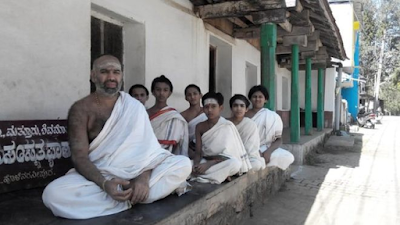 Home Education Language Sanskrit Which Places in India Still Largely Speak Sanskrit? Sanskrit is considered as Dev Bhasha, the language of Gods. It has a history of around 3500 years. It used to be a primary language of ancient India. Its earliest form – Vedic Sanskrit, was prevalent from 1500 – 500 BCE. However, it is fading from the scene. Now, only a few villages in India speak Sanskrit. Below is the list of places where Sanskrit is still largely spoken. Mattur is known as India’s ‘Sanskrit village’. It lies along the bank of Tunga river. People can be found using Sanskrit in their day-to-day communication. Even children speak the language fluently. Despite the fact that the official language of the state is Kannada, this village has been successful in preserving Sanskrit as a regional language. This village is located in Madhya Pradesh’s Sarangpur Tehsil of Rajgarh district. With a population of less than 1000, this village is still keeping up with the ancient language. The local dialect is Malwi here, but hardly anyone speaks it. Men, Women, children, literate & illiterate, all speak the Indo-Aryan language here. Like Mattur, Hosahalli is another village in Karnataka that is known for its usage of Sanskrit as a primary language. It, too, lies on Tunga river’s bank and is situated about 5 km from Shivamogga village. Quarrelling or gossiping – all is done in Sanskrit. This village is located in the Gajapati district in Odisha and most of the dwellers here are Brahmins. Many people are working in the government-based educational institutions which are Sanskrit-medium. It is located in Madhya Pradesh’s Narsimhapur district. Sanskrit is the prime language here and the majority of people are well-versed in it. This village is located in Banswara district of Rajasthan. If you visited here a few years ago, you would have found people talking in the local language Wagadi. But, now most of the people fluently speak Sanskrit. This change in language happened as a Sanskrit-based institute opened here providing education up to the college level. Nearly all the children in the region joined it. This resulted in a change of scenario in the local language of the region. This is located in Madhya Pradesh’s Burhanpur district. It is not uncommon to find people talking to one other in fluent Sanskrit.